Let me introduce Zyana Morris, a passionate blogger who loves to write on disciplines such as health care and lifestyle. 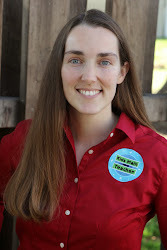 She is a featured author at various blogs and a staff writer at Centracare.org, a Tampa urgent care provider. She reached out to me and wanted to share her story about her son and Dyscalculia. Here is her story, which she hopes will help others. 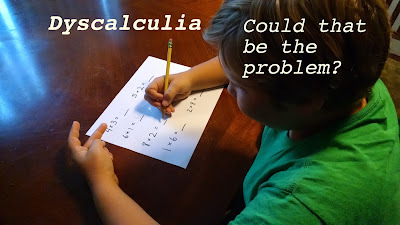 I found out that my child was suffering from math disability, in complex terms “Dyscalculia”, an issue that causes severe difficulties in learning mathematics. I felt nothing more than shattered and broken completely. 4-6% children suffer from this math disability. The ratio seems too little to be negligible, but who would even imagine that the young ones you care for everyday would be caught by it? I wondered what he or I did wrong that he became the one to suffer. I remember when I was young, I had to face certain uncertainties in life that led me to severe depression, but I was glad that after years of struggling I was able to help myself, stand up and live life again. I did not want my child to go through the same, the reason though being different. This was the time when I felt a little contented about what I went through, and I did not want my child to suffer and react the same way. Since it was the time of his life where a child is encouraged to study (being the most important phase of life), what I wanted to make him learn was that grades don’t matter. I never wanted him to stand out in school to, but to learn and understand the concepts well. Furthermore, I decided to take help to an educational psychologist. She being a professional knew obviously much more than me. She took tests and evaluated John’s condition and confirmed that he has math disability. I was disheartened but she was a great support for me and John, and would come to help him with this situation. She taught me how to deal with John's situation. The only thing I kept in mind was consistency, confidence and not to lose hope. By keeping notes of what I figured out was bothering him helped me and John to get encouraged, and to work on his weaknesses. These notes were always helpful to remind me what should be focused on in particular, and work on accordingly. Thanks to his teachers who have been very cooperative and understanding to what my child was going through. Their help and support has been a great contribution for him, to turn his math disability to an ability to do math. When I felt my world would fall apart, I got support from his teachers and psychologist. I asked John to practice in front of me, obviously keeping in mind that he doesn’t feel burdened. Practice and drilling (with patience in mind) helped him a lot to get better on his weaknesses. Whenever I could, I tried that he mingle with his group mates and don’t feel left out. Even though that’s a difficult thing for such children, but I always encouraged him that he could do it. Problems and complicated situations, one after the other, kept haunting my mind and what I could see in the future was only the conditions related to the math disability (i.e. medical conditions that co-exists with it like ADHD and dyslexia). This happened during the time I started reading about dyscalculia and that if I could share my experiences on the internet. All the extra time given to my child at school was really worth the help. Children usually panic when it’s time to hand over their exam papers to their teachers and when they know they still have a little left to complete. For my child these normal conditions that children face were not even real. He needed time to understand, understand other things that were normally understood more easily by other children. This led a fear in me that my child, not being able to explain, might lose self-esteem and confidence and consider himself unusual among his peers. I was also worried as any other parent may be. I did not want my child to feel special in any way. I wanted him to stay with other children, study among them, and get along with them. All thanks to his teacher’s patience and support, she helped me develop confidence in myself too. I was able to help my child with an even more positive attitude. Here is what I learned about the signs and symptoms that my child suffered through and what I learned over the internet to help my child overcome it. I hope you all will find it useful to analyze if you feel that there’s something wrong with your child. It’s been seven years now. Today I am really glad that John has been able to cover up his disabilities and he is working quite well in mathematics. I am hopeful that these hindrances will not come in his future and even if they do, I will always work harder than ever to assist him to overcome them. Thank you for sharing your experiences Zyana. I know life can be hard, but when we are able to get help when we need it, it is quite a blessing. This was great information...thank you Lucy for sharing this! But as you know, back in the late 60's/early 70's (a million years ago)....there just was not the awareness for this back then. How much I (and my parents, I am sure) would have benefited with the knowledge. so that I could have maybe been taught "differently". I am thankful for the continual knowledge and awareness that is out there now for children with LD's. I now just continue to pray that this will be now applied more in the classroom through sensitive and patient teachers as you are. Thank you for sharing......because now I know that I wasn't "stupid", I was probably just a little disabled and you know what.....that is ok. Because I know I am ok after all. By the way.....I would love to hear your views on this "new concept" math that they are now trying to teach......where it takes an equation and has like five steps to get what used to be a simple answer. Do you know what I am talking about? Let me know, if you want, in a personal email. If I am not making myself clear, I will look up the more "proper" term for this new math, as I would really be interested in your view point!